Upgrade your holidays via premium tastes and luxury amenities, in hotel’s holistic area. Go downstairs and explore the best way to start every single day. 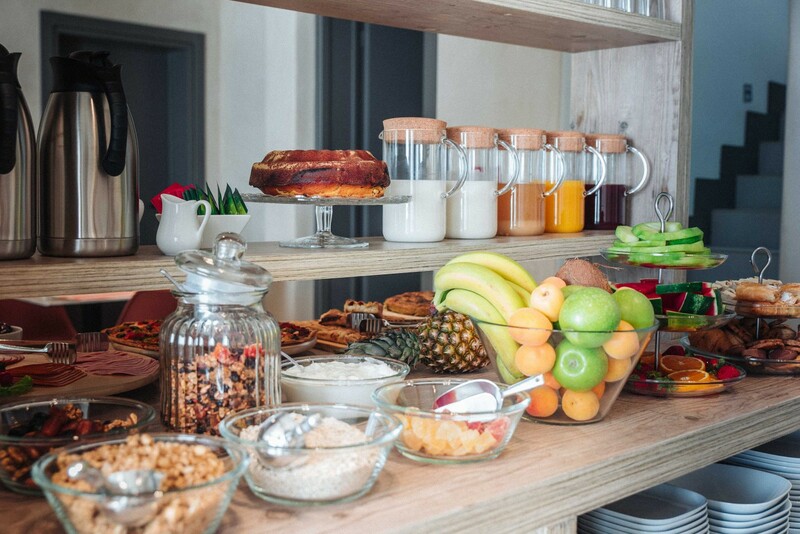 A super boosted mediterranean breakfast buffet awake all your senses. Every morning, Sandom Hotel presents a variety of fresh ingredients and upper products, colorful choices, traditional recipes, uniquely prepared by our team with special care. Do not forget to discover our “local goods corner” that differs from day to day, including selected greek or even parian limited tastes, usually produced by small or family businesses. Lazy in a holiday morning? Let us know, and gastronomy comes to you. That time of the year you feel more luxurious than ever. 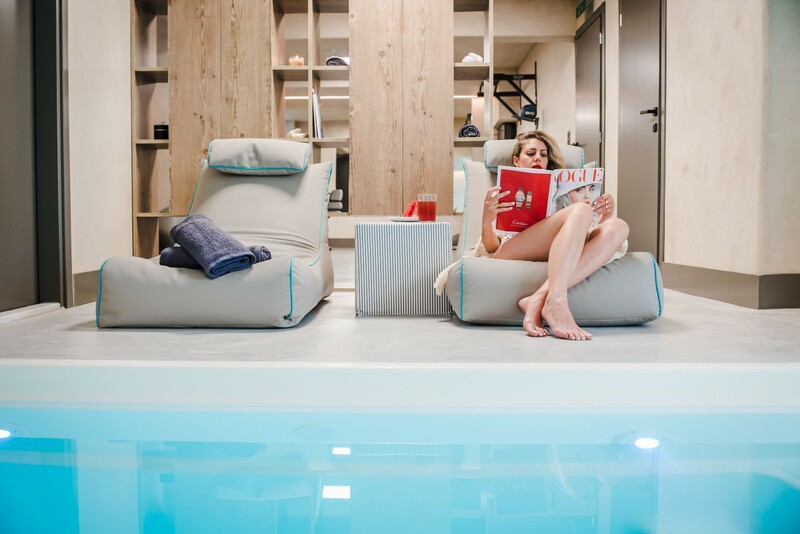 Sandom’s indoor pool highlights your mood, vacation or confidence. Either summer or winter, this special indoor heated pool is a masterpiece that underlines our hotel’s philosophy helping mind, body and soul to travel. Turning on the jacuzzi function anytime, create moments of serenity and let yourself appreciate the power of wellness. Converting easily to an endless pool, just by pressing a button you have the ability to swim against the flow for fun, for exercise or even for therapy. The pool is available to all our guests, but you can also make an appointment for private use. Holidays mean free time, and time for new experiences. 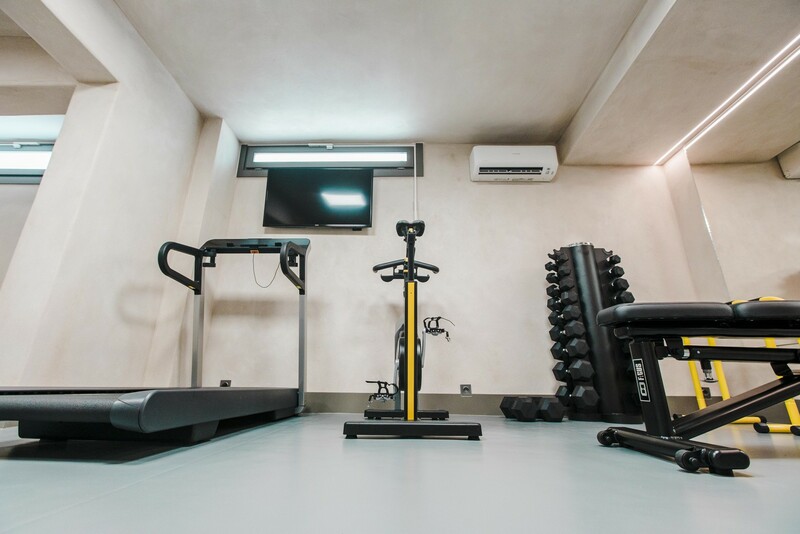 Visit hotel’s fitness area early morning or late night, try your power and feel full of health ready to explore the island. 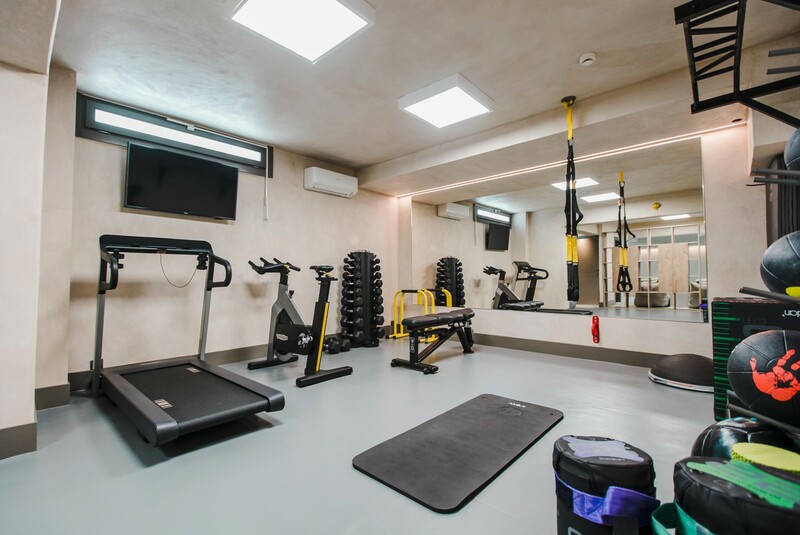 Sandom’s gym is fully designed and equipped with the latest high technology machines and super modern equipment, by fitness experts. The gym is suitable for functional exercises, supporting the new trend of fitness world. Personal training is available for every guest upon request and arrangement. Get in touch with Sandom's fitness experts for personalised health, nutrition & wellness advice without any charge.